Increased Throughput: CeramaPrime enables facility owners to quickly move more painted product through their facilities without sacrificing key performance attributes. The primer is recoatable in 45 minutes, stackable in 5 hours and sandable in 4 hours. Plus, it offers a one-year maximum recoat window and over 4 hours of pot life. The thin-film (2-3 mils DFT) primer can be easily applied with standard airless spray, conventional spray or brush-and-roll application. Enhanced Performance: Induron’s Ceramic Epoxy technology has been proven over decades of service in the most aggressive environments. 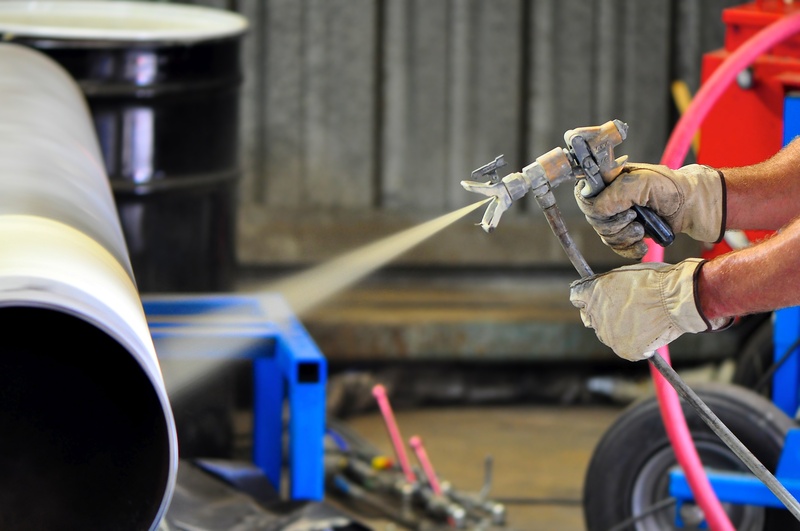 Using CeramaPrime Epoxy Primer mitigates undercutting corrosion, offers lower moisture vapor permeability and increases long-term performance of the entire coating system. CeramaPrime is NSF approved, user-friendly and applicable to interior and exterior substrates. Improved Safety: The use of CeramaPrime not only enhances efficiency and performance, but it also improves worker safety. Epoxy technology can help ensure that your team is safer by eliminating exposure to reactive metals and isocyanates. Ultimately, with this product, Induron developed a champion that expands its existing ceramic epoxy technology by offering a primer that increases efficiency and long-term performance. Are you interested in using CeramaPrime for your next coatings project? Contact a sales representative near you to learn more!